Augsburg - A few of the Bundesliga's brightest Far Eastern stars will be mixing it up as FC Augsburg entertain FC Schalke 04 on Saturday afternoon. Ja-Cheol Koo and Dong-Ji Won have plenty to cheer following their side's first win in ten attempts last time out against Fortuna Düsseldorf, while Schalke's Atsuto Uchida can once again look towards a top-four finish following the Royal Blues' barnstorming success over Hannover 96. 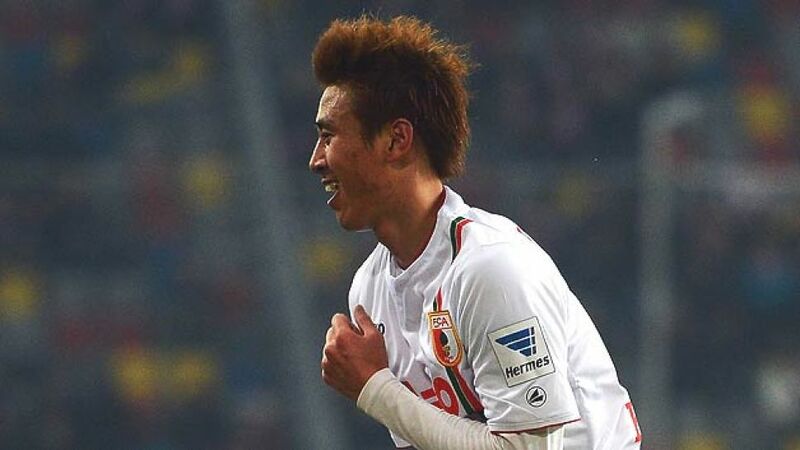 Augsburg's Matchday 19 win could not have come at a better time for the Bavarian strugglers, who edged a thrilling contest in Düsseldorf in no small part thanks to South Korean international midfielder Koo, whose lung-busting and goalscoring performance typified the spirit in the Augsburg camp following a hurdle-laden Hinrunde. Indeed, it was a gritty team effort that didn't go unnoticed further afield, with Schalke striker Klaas-Jan Huntelaar highlighting "togetherness" as Augsburg's most dangerous asset. More importantly, the victory saw Markus Weinzierl's men move three points clear of bottom club Greuther Fürth and, crucially, to within a single point of 1899 Hoffenheim in the relegation play-off spot. Augsburg's task, then, is clear: to maintain their Bundesliga status for another season. "I hope we can keep our place in the top flight in the Rückrunde," asserted leading scorer Sascha Mölders, who took his tally to six league goals with a fine brace against Fortuna last weekend. And while fellow forward Dong-Won was unable to get amongst the goals, his overall display will have encouraged the coach and fans alike. Weinzierl, though, is under absolutely no illusions as to the difficulty posed by their forthcoming Bundesliga assignment against the fifth-placed Royal Blues. "Schalke are one of the Bundesliga's top sides," he said. "We already showed that we can hang with the best of them during the Hinrunde, but now we want to prove that we can pick up points against such teams." Uchida and Co. certainly showed glimpses of their top-team billing as they overcame Hannover in an end-to-end, 5-4 thriller at the Veltins Arena on Matchday 18. Although defensively suspect, their Lewis Holtby-led attacking forays proved simply too hot to handle as new coach Jens Keller opened his Bundesliga account with a win - amazingly Schalke's first since Matchday 11 and without the services of Dutch duo Ibrahim Afellay and Huntelaar at that. The latter is a dead-cert to return to the Royal Blue ranks for the trip to Augsburg, however, after missing last Friday's nine-goal thriller through suspension. "We took nearly all our chances against Hannover and that's what we have to do at Augsburg [...] our sights are set on a repeat of the performances we showed at the beginning of the season. We're working hard to regain that form and wins are what will help us the most," the Dutchman warned.